"A Practical Method to Understand a Species, a Habitat and a Niche"
Naturebytes is a legacy creation by me and my naturalist friends who want to enthuse you, our viewers, with the excitement we feel about the world of nature. Naturesway Productions now has 3 websites online and a Facebook page, all interlinked through this parent website and all content is free to use for non-commercial purposes. Click on one of the links below to visit one of our other sites. Naturebytes Video now has over 500 short nature movies, and growing! Goldilocks Ecology is our newest website and currently has a FREE downloadable e-book in PDF format. Goldilocks Ecology on Facebook is a resource and communication page for teachers and educators. The mission of my production charity is to capture nature on video, edit the video to be informative to the general public, verify the material for scientific accuracy and place the finished productions where nature enthusiasts, scientists, students and the general public can have access to the videos. Henry Shenkman, after a long career in public service, followed his love of nature and natural history. He completed a comprehensive training course with the San Diego Natural History Museum and is an informed trail guide in the San Diego region. During this time and over a dozen years ago he picked up a video camera and began making short videos about nature, now called Naturebytes. 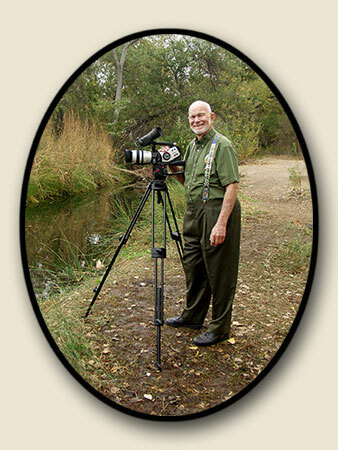 Naturalist Bill Howell is featured in many of the videos. Henry considers Bill his mentor, and as you will notice, Bill injects a lot of humor in his very informative teaching style. Bill Howell has been heading the Canyoneer training program since its inception at the San Diego Natural History Museum, as well as the Trail Guide training program at Mission Trails Regional Park in San Diego. Henry wanted a way to make his collection of nature videos available to the public, and began working with designer Bradford "Bill" White to create an exhibit for San Diego's Tecolote Nature Center in 2004 that began with 85 videos. Later came a website launched in 2007 with 300 videos. In 2008 the exhibit was redesigned to mirror the website and the growing collection now features about 400 nature videos. This newly designed, large video format program is available free to non-profits, educators and students for use on their own computers, or in a special "locked-out" version for public display. What is Naturebytes Video and what is the available FREE program? All materials are copyright protected. Permission for use other than viewing is required. Order a free copy for your computer or for a public exhibit online using our application form. naturebytesvideo.com - the website. 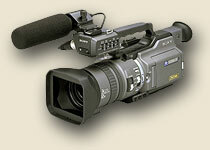 Video content is presented in a Flash format set for optimum play on most modern computers via the internet. The viewer sees a movie formatted in Quicktime h.264 best quality video codex and rendered in streaming Flash (SWF) 300k broadband video. This video is designed and scaled for fastest possible internet download. The product has excellent presentation on laptops and desk computers, both Mac and PC. Because the videos are compressed for internet speed they do not project as well in classrooms and meeting halls as the crisp, high quality, large format computer version. What natural region is presented in Naturebytes Video? Naturebytes videos have primarily been filmed in San Diego and Southern California and focus on flora, fauna, and geology in this region. There are some about natural history in general, and there are also videos about other places in the world. Videos are generally around 2 to 5 minutes long, though some are much longer based on their subject matter. The movies are organized by geographic habitat zones where the plants, animals, geology or natural features are found, starting from the coast, then inland, the mountains and desert. Also included are flora and fauna adapted to our new urban habitat. Habitats and ecology, niche theory (goldilocks theory) are covered more thoroughly in a separate section as well. What is the reason Naturebytes Video was created? It is hoped that Naturebytes Video will be a useful and entertaining tool for naturalists, scientists, educators and students, as well as for those who just enjoy nature. Naturebytes Video can be used as "A Video Field Guide" for the plants, birds, animals, and insects found in a particular place. Videos and information made available on this website can be incorporated into classroom programs and educational presentations in many creative ways.